The name says it all. A stylish apartment. Prestigious and classic. For those whose standards are higher than most. 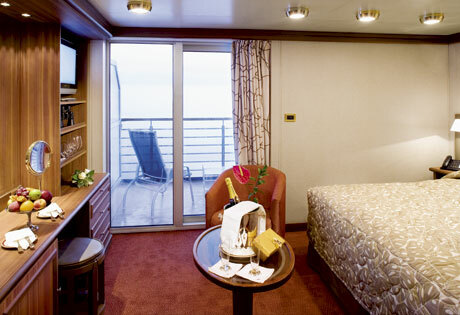 For those who expect the finest from a luxury cruise. Expertly designed and exquisitely appointed. Ideal for entertaining friends while you cruise or enjoying a quiet dinner “at home”. Whatever you wish. 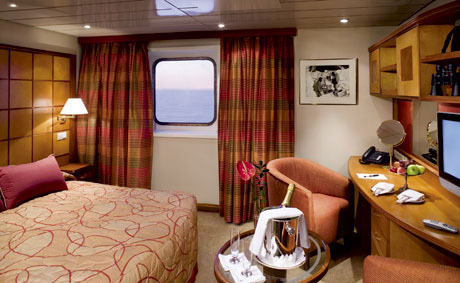 A Silversea cruise signature, complete with floor-to-ceiling glass doors that open onto a private balcony. Veranda Suites lavishly accommodate three guests. A quiet sanctuary. 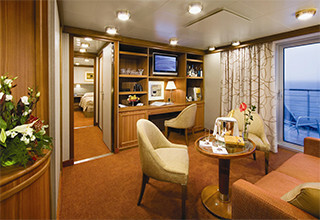 The suite’s sitting area has plenty of room to relax while on your cruise. Large picture windows frame panoramic ocean views. The perfect backdrop for breakfast in bed. Some Vista Suites accommodate three guests. 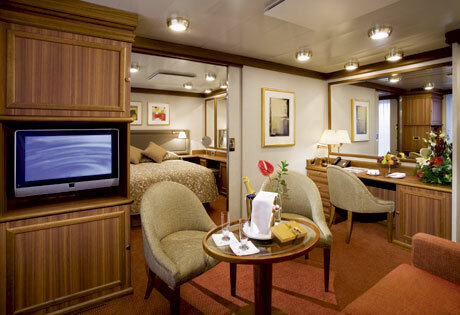 Deck Four forward is home to eight Explorer Suites. Enjoy a separate sitting area and the passing scenery through a view window. 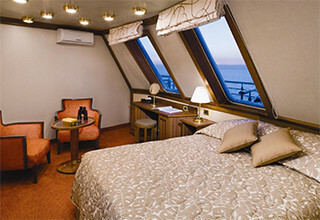 Explorer Suites accommodate three guests and exude cosy opulence, perfect for unwinding after a day of exploring ashore. 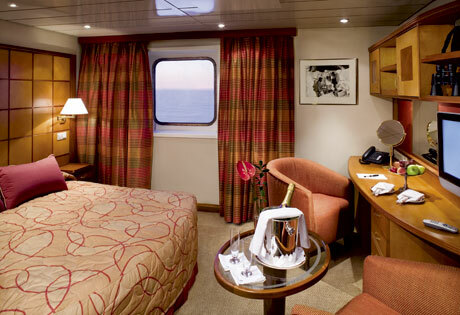 Even guests who plan to spend only sleeping hours in their stateroom will appreciate the distinctive touches of this cosy suite. After spending the day on a dynamic shore excursion, unwind in the ample sitting area or rejuvenate the mind with a soak in the marbled bathroom’s tub. 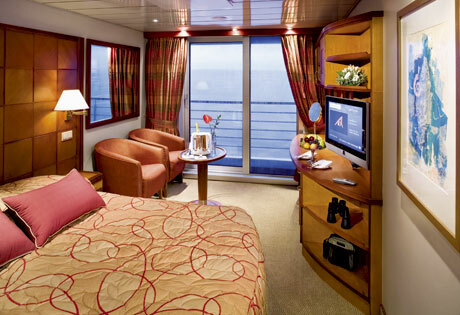 Here you can watch passing ocean scenes through two porthole windows. Reminisce the day’s travels by journaling at your writing desk. Watch a movie on the flat-screen television. Or fall sound asleep within the comfort of fine bed linens ­– with your choice of nine pillow types.